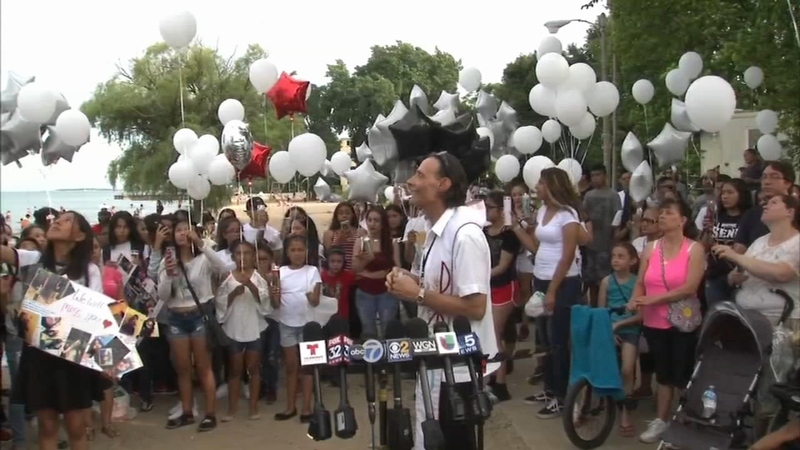 Some residents hope to improve safety at Chicago beaches after 13-year-old Darihanne Torres drowned at Loyola Beach on Chicago's North Side. CHICAGO (WLS) -- The drowning of a 13-year-old Chicago girl earlier this month has some community members hoping to improve water safety along Lake Michigan. A vigil was held Monday night for a girl who drowned last week after being pulled into Lake Michigan by strong currents. Darihanne Torres was pulled into the water July 6 at Loyola Beach. Torres had been under water for about 45 minutes and found about three blocks from where she went under. Kathy Tores, who is part of local group, said they would like to improve beach safety in four ways - improved signage, more water safety classes for youth, more life and flotation devices at beaches, and longer lifeguard hours. Ald. Joe Moore (49th Ward) agrees that a task force should be created to improve beach safety. He also he worries about the cost of longer lifeguard hours, costing slightly less than a million dollars to restore hours to what they were in 2009. The Chicago Park District offers free swimming classes for youth. "We have one of the best programs in the country," said Eric Fischer, of the Chicago Park District. "You can swim in any of our pools for 10 weeks for free for any youth and teen." Tores and her group want a better response from the city officials. "So far, we've only really heard from Ald. Joe Moore and it's a very lukewarm response and doesn't address the specific points," Tores said. If you are caught in a rip current, don't panic. Experts say to swim parallel to shore to soon be able to escape the current and swim safely to shore.